Articles - HELLO, my name is Scott! "More than 700 FREE articles for your brain to explore." 38 Ways to Make Customers GASP! Are You Guilty of Succumbing to These Six Seductive Disguises of Success? Watch Scott Ginsberg's Entire 70-Min Keynote on Hireability! Have You Executed These Ten Essentials of Entrepreneurial Excellence? Do You Embody These 12 Attributes of Utterly Unequalable People? Are You Sculpting These Four Muscles of Approachable Leaders? Does Your Business Pass the Brokeback Mountain Test? What would happen if people didn't have to “be careful what they say” around you? How many relationships are you missing out on because you don’t know people’s names? Are you puking thoughts at people or sharing messages with people? Scott Ginsberg Gives NBC a Tour of Nametag Headquarters! Are you answering questions or questioning answers? Are You Motivating People or Inspiring People to Motivate Themselves? Are You Speaking Straight to the Heart of the Human Exeprience? Are You Forgetting About This Underrated Marketing Strategy? Are You Overlooking These Fifteen Success Essentials? Do You Give Customers the Cookie or the Fortune? Watch Scott Ginsberg's Marketing Workshop @ goBRANDgo! Download a Copy of “The Nametag Principle” For Free, In Its Entirety, No Strings, Right Now! Are You Sneaking Up On The World? Do You Perfect the Performance or Extend It? Are You Perfecting the Performance or Extending It? Are You Knocking Or Going Where the Door is Already Open? Where Have All the Original Ideas Gone? Do You Have a Profit Motive or a People Motive? Today, I'm starting a global movement. I need your help. This is me asking you for a favor. Are You Trying to Make a Sale or Earn the Right to a Relationship? What Happens When Passion Doesn't Pay the Mortgage? The Nametag Guy Live: Does Your Business Card Matter? Isn’t Amazing How Much Energy We Invest In Procrastination? The Nametag Manifesto Chosen as SlideShare's Top Presentation of The Day! 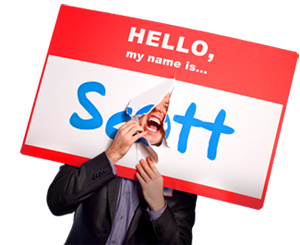 Download a Shareable Copy of Scott Ginsberg's “The Nametag Manifesto” and Infographic Now! Are You Paying People In Their Preferred Currency? 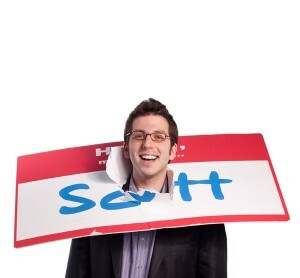 Watch Scott Ginsberg's Show & Tell Style Interview for Brandtag Strategic Planning Crusades! Are You Making War on the Competition or Making Love to the Customer? How Does Your Product Help People Meet Each Other? Are You Shouting Over the Clutter or Carving It Up? Do You Communicate All Three Dimensions of Your Value? Are You Following the Money or Following the Feelings? Does the Act of Running Your Business Make the Funnel Bigger? Are People Taking An Interest In What You Believe In? Moments of Conception 051 — The Studio Scene from O Brother Where Art Thou? What's Your Approachability Quotient (AQ)? Why Can't I Start a Conversation With You? What's the Most Important Word In Marketing? Who Says Your Email Can't Smile? Come to My Bad Sweater Party! Where Does That Phrase Come From? Are You The World's Expert On Yourself? Does Your Marketing Make Music or Noise?